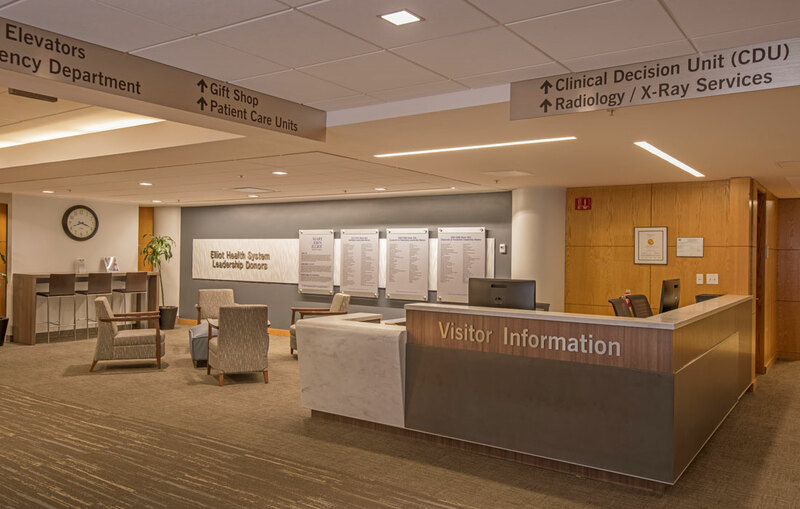 Eckman recently completed renovation of their main lobby at Elliot Hospital. 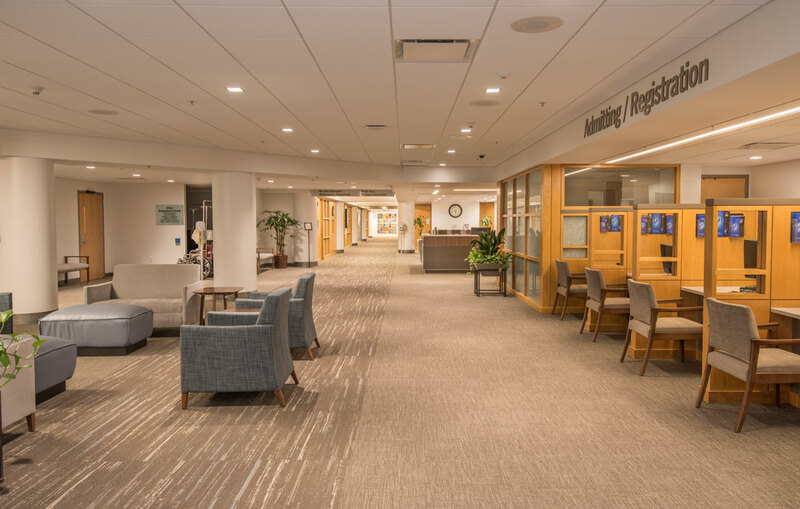 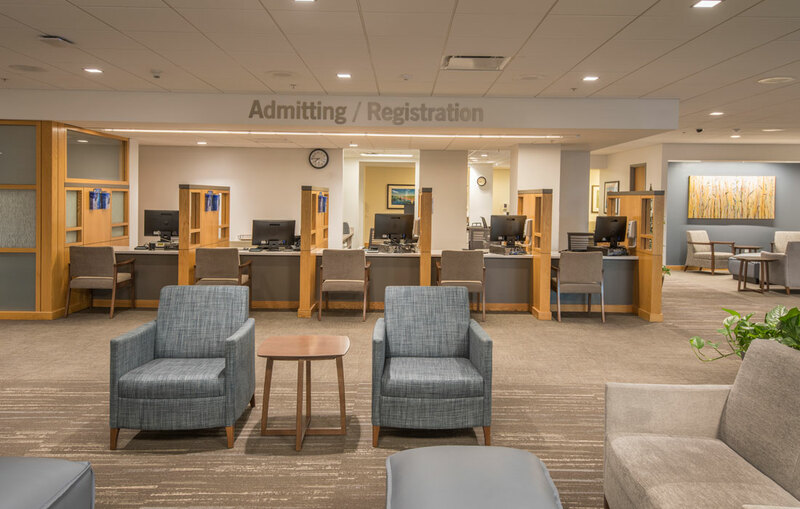 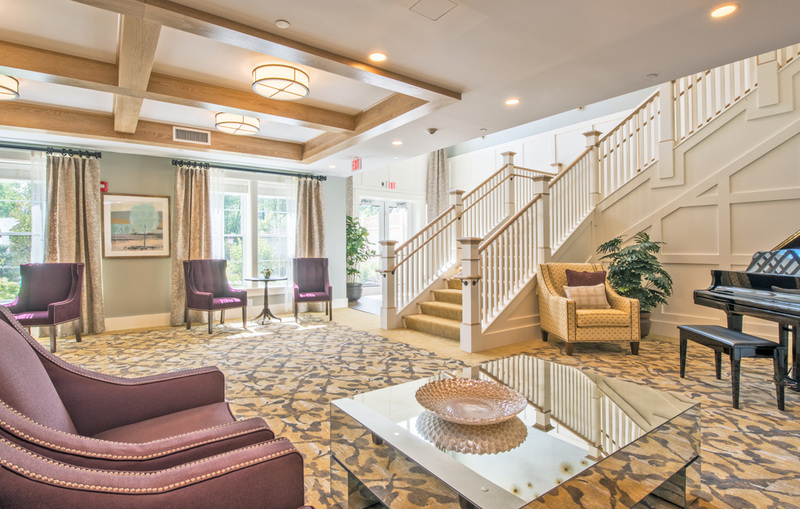 Intended to refresh the look, the lobby renovation results in a more welcoming, updated space were patients are greeted upon arrival. 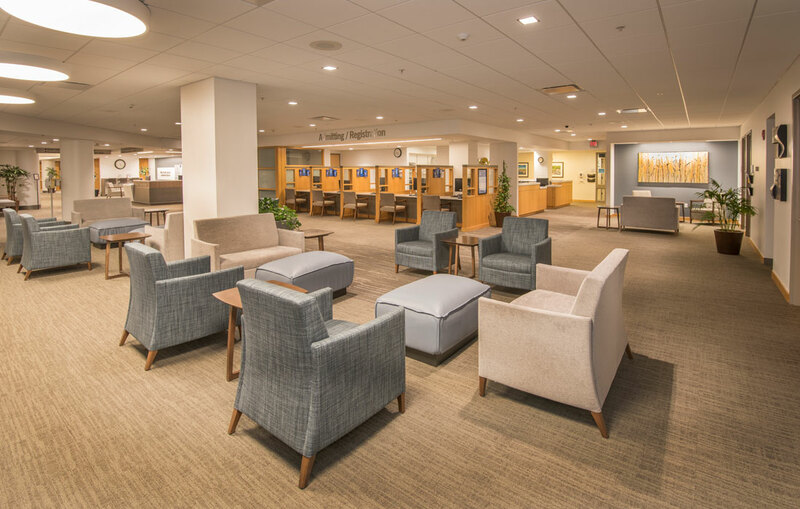 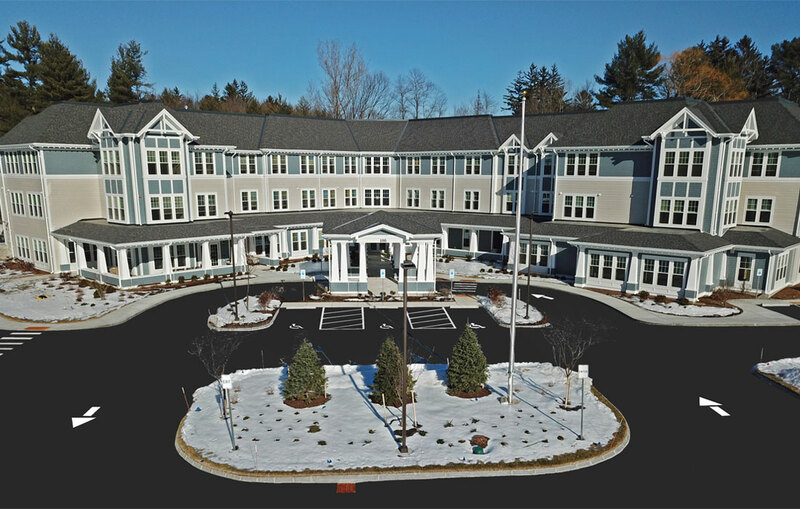 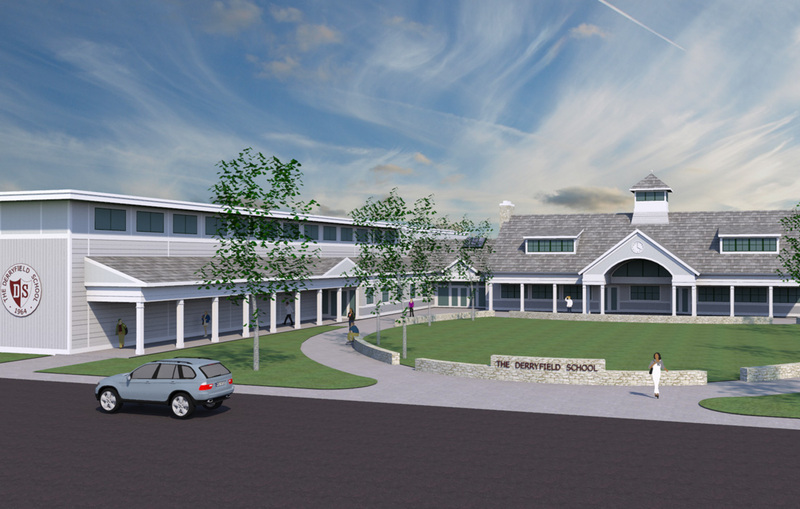 The front desk is the focal point of the renovation along with updated central corridors, new reception areas, carpeting and furniture that help accent the space. 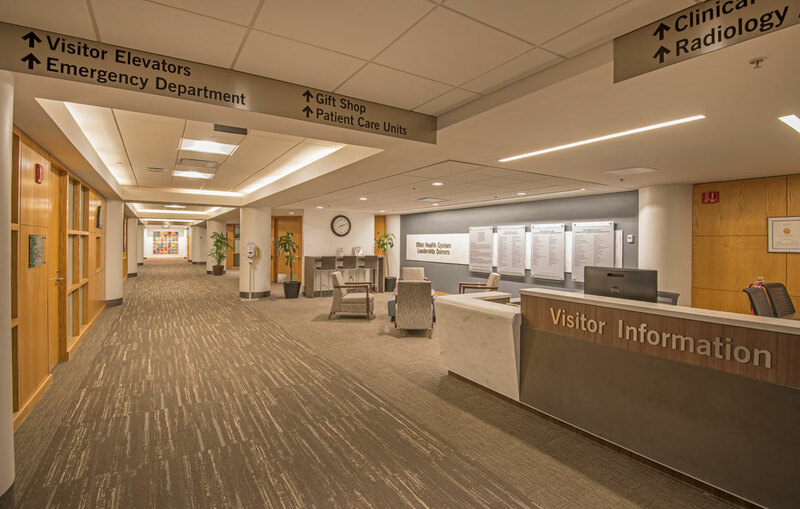 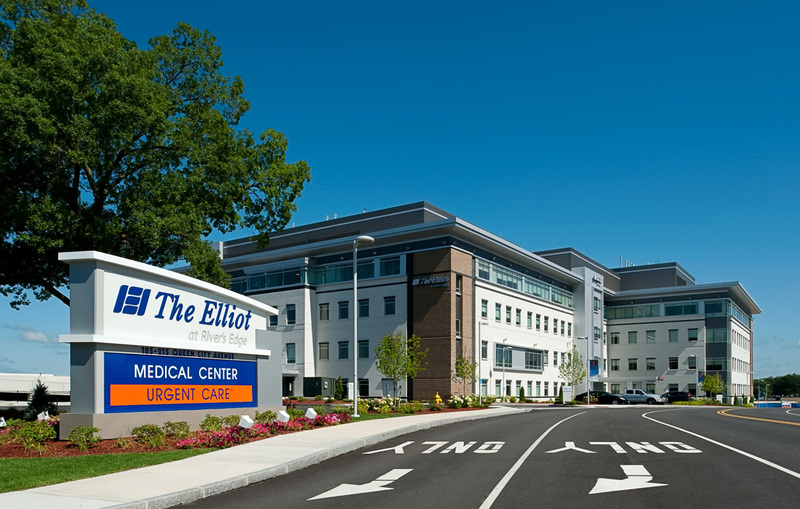 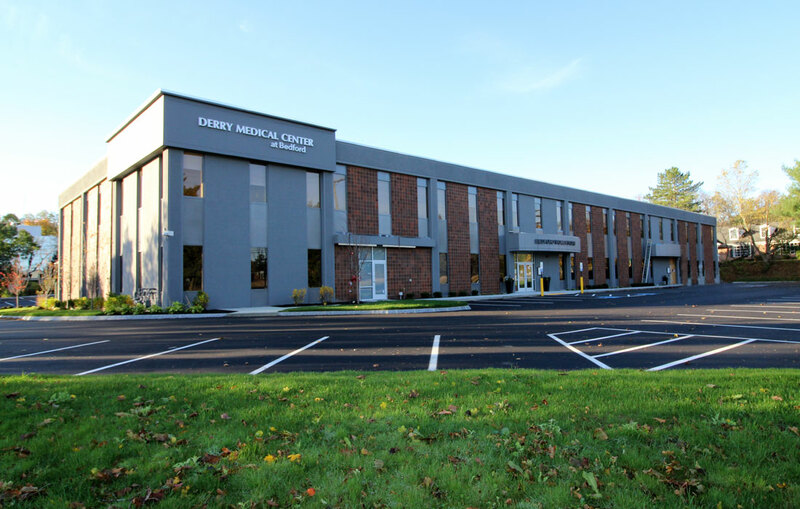 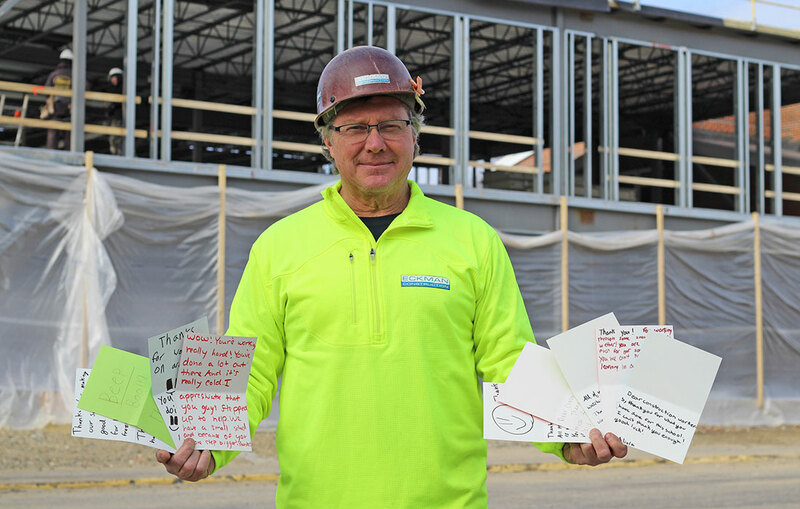 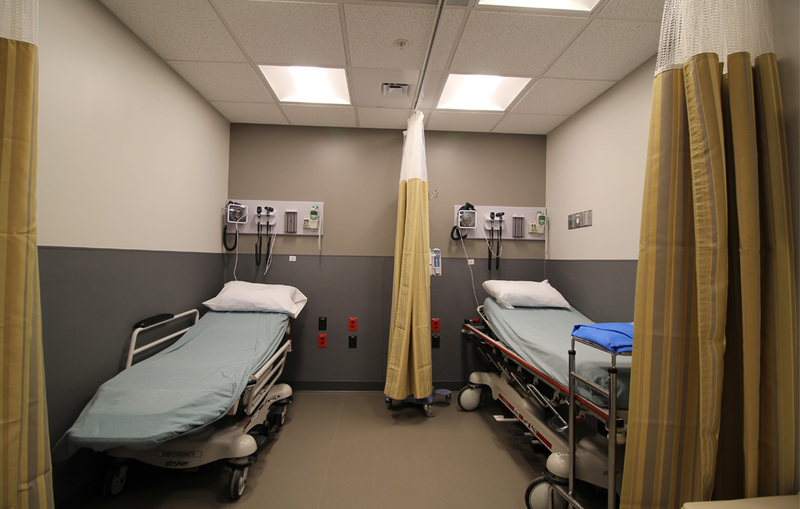 This is the 4th project Eckman has completed for Elliot Health Systems.